This is an excellent side dish that compliments grilled or seared fish, chicken, turkey or pork. 1. Clean and cut cauliflower into large cubes and place in water on high. Add 1/4 tsp salt to water, cover and let steam. 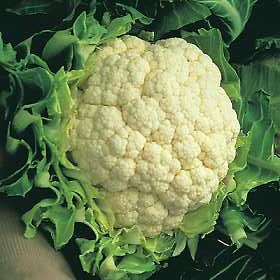 Remove from heat and strain once cauliflower is soft enough to be pierced easily with a fork. **If you prefer “chunky” mash, remove from heat slightly sooner. 2. In small saute pan, place diced mushrooms, green onions and 1/2 desired amount of garlic in 1-2 tbsp olive oil. Saute on medium-high heat, reducing heat as mushrooms start to darken and onions start to brown. Remove from heat and let sit in oil to soak flavor. 3. In large serving bowl, mash cauliflower using a fork (or hand mixer if you want it smooth), slowly adding up to 1tbsp olive oil to create creamier texture. Gently stir in mushroom-onion-garlic mixture. Add salt and pepper until desired taste. *If you include dairy in your diet, add 1/4c low-fat or non-fat Feta Cheese, fold in, and let sit covered for 10 minutes before serving. **You can also place Feta cheese on top of mash, place in oven beneath broiler (set on high) for 1-2 minutes to melt cheese and crisp the top of the mash. **This recipe can also be made without the mushrooms, substituting black or white truffle oil for the olive oil and mushrooms. Enjoy and please share alternative versions and tastes!